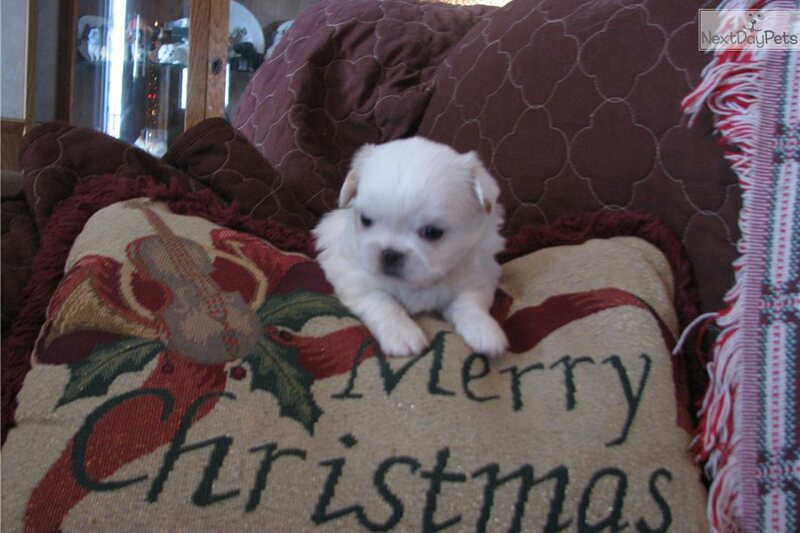 This Pekingese nicknamed Sydney sold and went to a new family. This awesome white boy is a heart stopper. He loves to be the boss of his litter and keep them playing. He is family raised and socialized. loves to be held and loved on. Pee pad training is going great. Will add a ton of love to your family.